We live in the most busy times in the history of humanity. There is constantly so much to do – places to visit, people to see, things to say, tasks to be accomplished; and the worst part of it all is there is so little time. Even in the times when our ancestors were busy from dawn till dusk with working the crops and making a living, they still didn’t have to multitask the way we do and even though a huge portion of things we are supposed to do are actually meaningless and superficial, we still have to do them for one reason or the other. Lucky for you, technology is making easier and there are a few mobile apps that can help you get your affairs in order. Here are some of them. I’ve worked with Dropbox for about a year now and I must this thing is amazing. It’s a really simple program used to synchronize your files across several devices. As I write a lot, I like saving my files on the Dropbox server so I can start a text on my laptop at a coffee house or a restaurant and finish at home on my computer where I will feel much more comfortable. 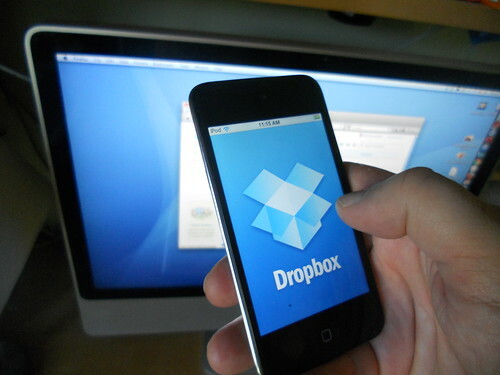 As I do my work across several devices, Dropbox has been invaluable for me throughout. I would start a text on my laptop, finish on the computer and proof read it the next day on my tablet, where I feel much more comfortable reading. It’s absolutely free and you get lots of space to use, with the option to buy even more if needs be. It’s fast and easy to use, with simple interface and enables you to sync all sorts of files. If you are using more than one device and want to have a backup for some important files, then this is the app for you. Evernote, as the name suggests, is an app for making notes about basically everything. From reminding you to pay your bills to making a grocery list, you can use Evernote for basically everything. When you get this puppy, your wife will no longer get mad at you for forgetting the grocery lists or for not picking up the dry cleaning. Personally, since I am on foot a lot and usually have a lot to remember, I always use this app to sort things out and make sure I haven’t forgotten anything. Keeping up with the synchronization theme, you can sync notes across several devices so you don’t forget anything (including the devices). The problem with money is that you can easily lose track of your spending. But not when you’re using Mint. This gem is the next best thing since the introduction of the pepperoni pizza when it comes to managing your money. It’s not just about keeping track of what you’re spending on, but also how much and when your bills are due. You can even set budgets and tell your future what to spend on and what not to spend on. Just make sure that you follow your own personal instructions. Building up healthy habits is hard. If it wasn’t, you wouldn’t be needing any of these apps, but since you’re here, I will assume you have the same discipline as me – that of a 14-year-old. When it comes to being reliable and disciplined, I am the worst (no competition) but this app has helped me to change that a bit. Time management is crucial and Habits Pro helps you manage it so well. You can plan when to start and finish activities, sticking to your habits and more. It’s a must for all undisciplined people. Share your views about these apps by leaving your comments below. Rose Finchley is passionate blogger keen on topics about technologies and gadgets. She currently works as a manager of cleaners team in Finchley and she uses a lot of different apps which helps her to manage the team.